These are a few of the apps I have found to be really useful when working with iPads in Primary and Infants classrooms. I will continue to add to this edshelf collection. 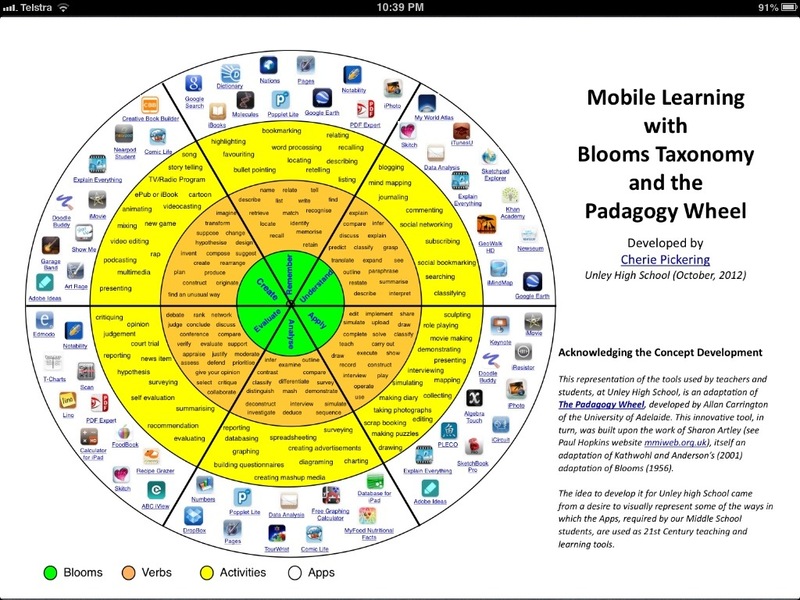 Below is a great model which reflects many of the possibilities that apps can bring when considering Bloom’s Taxonomy. I have also found this blog by Dr Jenny Lane – Edith Cowan University to be useful re iPads and apps etc. This is a recent post regarding app selection.